Here is another beautiful preview of tiny portions of larger PaperMonster stencil art pieces which will go on sale September 14th over at DirtyPilot.com. 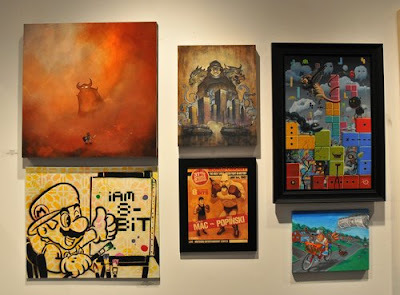 The show will feature a wide range of works on different surfaces with incredible detail. Check out some pictures below and stay posted for more previews!! Above/Below are small previews of two large stencil art pieces and new stencils which look incredible and have great texture. 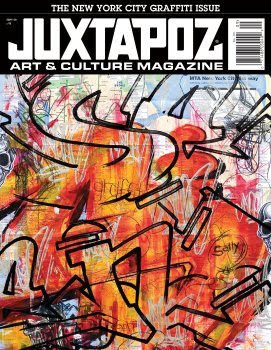 The latest issue of Juxtapoz Magazine “The New York City Graffiti Issue” for September 2008 has just been released. It is a fantastic and thick issue covering a wide range of legendary graffiti artist. Make sure to get a copy and keep your eyes peeled for a PaperMonster x DirtyPilot ad for my Sept 14th solo show for DirtyPilot.com in this issue. I will be posting some more fantastic previews of some beautiful pieces which will be part of the solo show. One of the many paper mountains that covers my studio. When the teal is on it is time to start to work!! TheAsianEconomist.com is happy to announce that it has launch it’s interview section and we are very glad to have our first interview be with a rising stencil artist, PaperMonster. You can check out more of his work at his blog: http://papermonster.wordpress.com.PaperMonster will be our feature Artist for our first issue of The Asian Economist Online Magazine, stay tune for the release date of the Magazine. Why did you choose the name PaperMonster? The name PaperMonster came from a lot of different parts of my life but one was the huge amount of paper that I consume and the mess that comes with stenciling and later having a final product of a beautiful stencil, but then looking at the area around you and seeing the large amount of tiny paper fragments which are so hard to clean up. The name fits well and at the same time there is this opposition occurring where the name PaperMonster is very strong and you imagine chaos but my work is very focused on beauty and subtleties with loud colors. When did you start doing stencil and what/who influence you in the beginning? 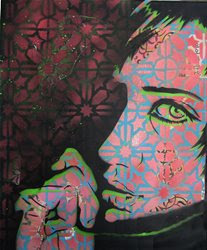 I started about four years ago doing very ugly stencils at the time when I had little to no skills. I used all of the wrong types of materials and had no concept of negative space. The first stencil involved a cartoon character I used to draw constantly and the second stencil was of my face wearing a respirator mask. The cartoon looked great but my face looked horrible. 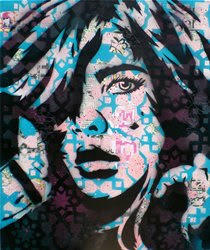 I would spend days on just one stencil and now I can spend only a couple hours and come out with something incredible. I remember buying my first stencil book “Stencil Graffiti” and it blew my mind. I wanted so desperately to be a famous stencil graffiti artist. Things take time and success does not come over night. I still dream about becoming a famous stencil artist. Where do you get your ideas for your works? I get my ideas from real people expressing true beauty. I am inspired………. There are more exciting projects with CryBaby Art Gallery during September and I will be posting more news soon. Also stay posted for preview pictures of my first solo show with DirtyPilot.com opening September 14th. 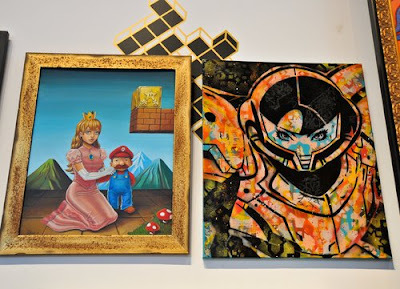 PaperMonster Pieces “SOLD” for I am 8-bit show!! 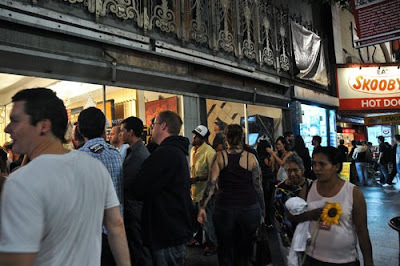 Inked Souls was a fantastic show which was put together by ArtWhino Gallery and TAGUR Footwear. PaperMonster put a wonderful video of the event and it has had some great success. You can check out the post on MODART Magazine and catch the video on Current.com Also, I had the honor of meeting some very talented people during the opening including Treadmilin from (http://treadmillin.com/blog/) and he did a great post on the sneakers I wore for the opening. 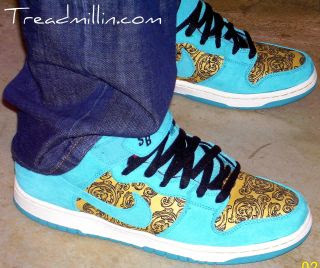 They were Nike Dunk Mid Peacocks and they only come out of the box for special events. 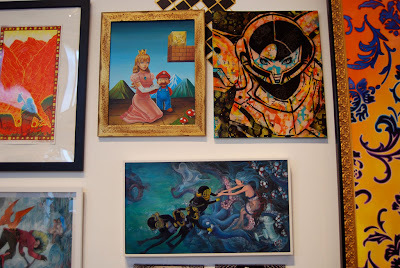 for more coverage on the highly anticipated I am 8-bit show. 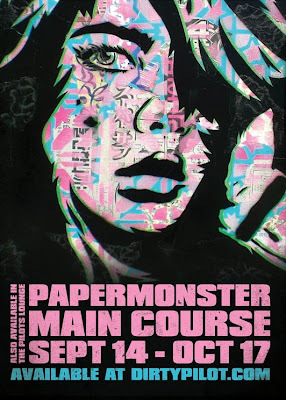 You are currently browsing the PaperMonster Stencil Graffiti Artist blog archives for August, 2008.